Moses couldn’t cope with looking after the whole of Israel on his own, so Jethro told him to organise the people of God into thousands, hundreds, fifties and tens. 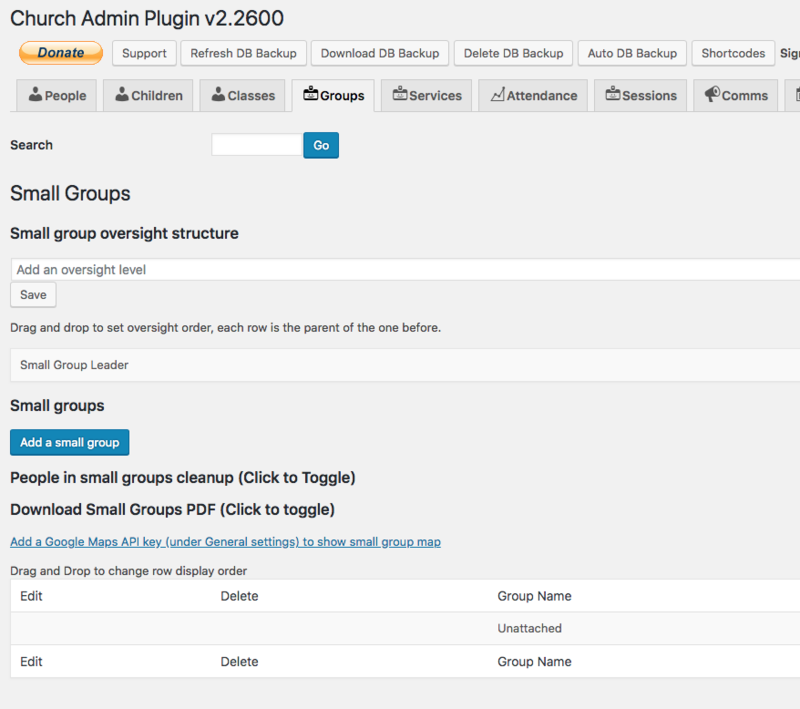 Churches using the Church Admin plugin vary in size from 20 to 2,000, so will need a different size structure if you have small groups in your church. If you don’t have small groups – why not? Acts 2 shows us the early church meant all together and in homes – it’s a place where people really do get to know one another, care for one another and disciple each other in the faith. I’m assuming that you have set up a directory first with people who will end up being in small groups, coaches, zone pastors etc. The diagram above shows a typical small group oversight structure, so the leaders get looked after too! The plugin allows as many levels as you need for your church. I’ve used three – small groups, small group coaches and small group pastors. Out of the box, Church Admin has small group leaders set up as a ministry. Your various levels of oversight will also be ministries connected to each other. Head over to Church Admin Groups tab to get set up. 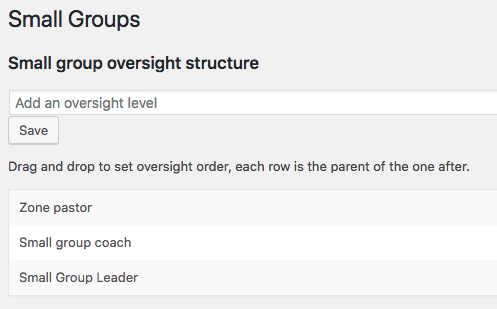 If you are updating to v2.2600 and your current oversight structure is not showing, please click on the Ministries tab and edit Small group Leader to fix. Next you can start to populate the levels. Each level has a name and then people who are in that level. For Zone Pastors they might look after a section of your city or town like East, West. John Smith may look after East and Jane Smith West. You can edit the names of people at a level on creation and in the table. Hope you find it useful to organise church life. 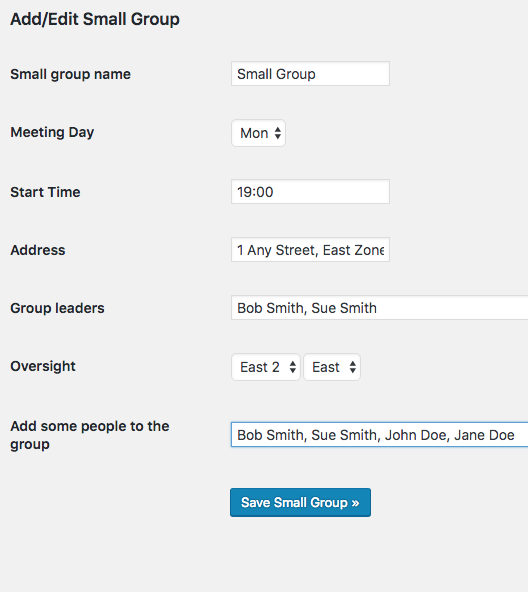 You can maximise church organisation and communication by susbscribing to the app service that allows your congregation to check the directory, schedule/rota, sermon media, calendar, blog posts, customs pages and more. It’s free for the congregation and just £7.50pm for the church to access. For more details and signup, please check the Church Admin App tab on your website.